Annette Is Over The Moon For The Space Docs Program At Other Worlds Austin! 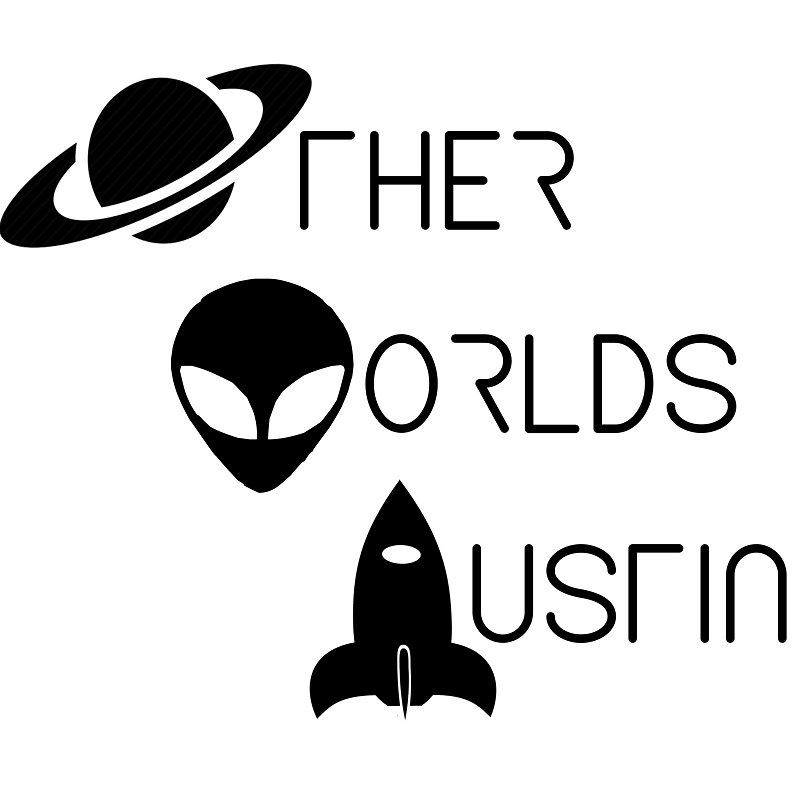 After hearing my friends rave about the sci-fi film festival Other Worlds Austin for the past 4 years, I finally had the good fortune this year to cover the event. While there’s no denying that flashy film festivals like SXSW or Fantastic Fest are a blast to attend, the bigger these events get, the higher the price and hassle. Sometimes it’s nice to attend one of the smaller festivals popping up everywhere, and Other Worlds Austin has been leading the charge in the capital city with their perfectly curated weekend of sci-fi love. My first screening of the fest was a short film program dubbed SPACE DOCS, a compilation of short documentaries about (you got it) all things outer space. I've included links for those that are on the internet, but I have to say it was pretty amazing seeing them all up on the big screen. The first short doc of the program certainly lives up to its category. 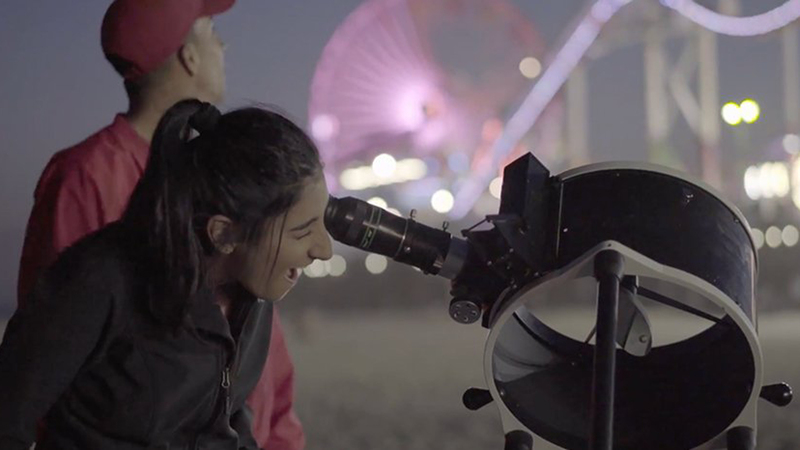 With a 3 minute running time, directors Alex Gorosh and Wylie Overstreet create a heartwarming and equalizing look at regular people on the street viewing the moon through a powerful telescope. In take after take, every person who looks into the telescope's eyepiece has the same reaction- one of utter astonishment and wonder. Set to the beautiful notes of Debussy’s wistful and appropriate Clair de Lune, the joyous and sincere emotions captured in A NEW VIEW OF THE MOON are simply delightful. Gorosh and Overstreet pack a ton of feels as well as fascinating imagery into 180 seconds. When an astronaut inadvertently loses a spatula while performing repairs on the outside of the international space station, that innocent tool becomes one of the millions of pieces of space junk currently orbiting our planet in the black vacuum just beyond our atmosphere. 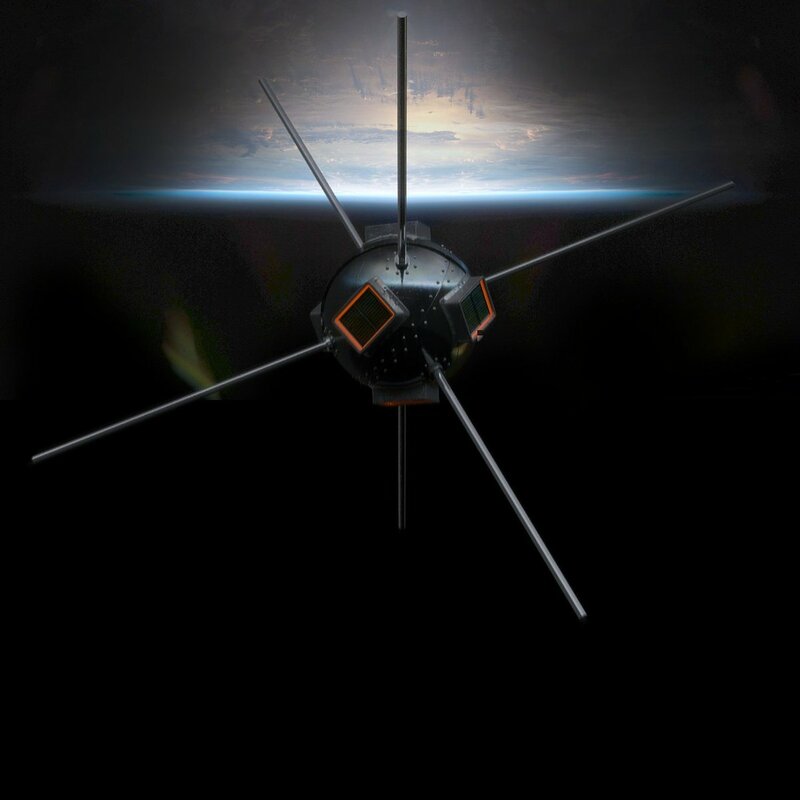 Using Vanguard, the first satellite launched into space, as a reference point throughout the 11 minute film, director Cath Le Couteur paints a rather bleak picture of the unfathomable number of objects that have joined the long retired satellite on its interminable voyage. Beautiful and informative, ADRIFT brings attention to a situation that will likely turn into a major problem in the near future and does so within a beautiful and informative film. 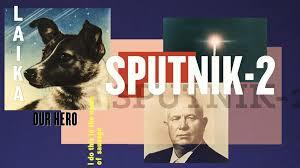 When the Soviets launched their second satellite into orbit, it carried a passenger this time- a spunky street dog named Laika. Narrated from the first “person” perspective of the cosmo-dog, director Tom McNamara uses stock footage, 50’s kitsch, and a sweet dose of humor to balance out the interesting yet sad 4 minute tale of the first animal in space. Kudos to McNamara for finding a way to tell Laika's story without all the doom and gloom. In Adam D’Arpino’s 5 minute short doc STRANGER ALIENS, the director wonders why humans looking for life outside of earth seem to always look for a being with a similar likeness to ourselves. Through fun footage from an array of sci-fi classics, it is posited that we may have already encountered other life forms that we earthlings simply can’t fathom. Various renderings of potential aliens as well as a synth-y score round out this creative and thought-provoking film. 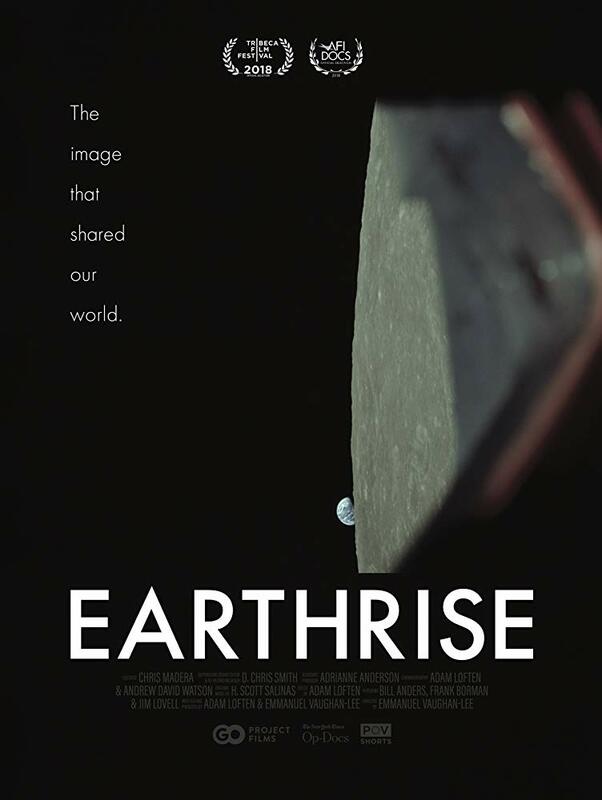 At 31 minutes, EARTHWISE qualifies as the longest of the shorts program, and not a moment is wasted in telling the fascinating story of the Apollo 8 mission and the astronauts who captured the first image of the earth in its entirety. Director Emmanuel Vaughan-Lee pairs “home movies” from the mission itself along with current day interviews with Frank Boorman, Bill Anders, and Jim Lovell explaining the emotion they experienced as three of only 24 astronauts who have ever seen earth from this unique vantage. Ironically, it was a total afterthought to grab the camera and capture a photo of the “blue marble” floating in the distance- an image that has since become one of the most reproduced in history. Additional footage of the trio as they embark on the first ever trip around the dark side of the moon as well as an awe-inspiring take from the window of the space craft during reentry into the earth’s atmosphere, EARTHRISE is an incredible chapter in the cinematic chronicles of space travel. Did you know that pretty much every representation of our solar system you’ve ever seen is not to scale? Apparently if it were, you wouldn’t be able to see the planets at all. Directors Alex Gorosh and Wylie Overstreet (yep, the same team behind A NEW VIEW OF THE MOON) set out to remedy this quandary by plotting the paths of the planets circling our sun in a seven mile stretch of desert. The filmmakers painstakingly measure each trajectory and use appropriately sized LED lights to represent each heavenly body. From their vantage atop a nearby mountain, they then capture a time-lapse view of the lights as they “orbit” around the “sun”- a giant illuminated balloon in the center. 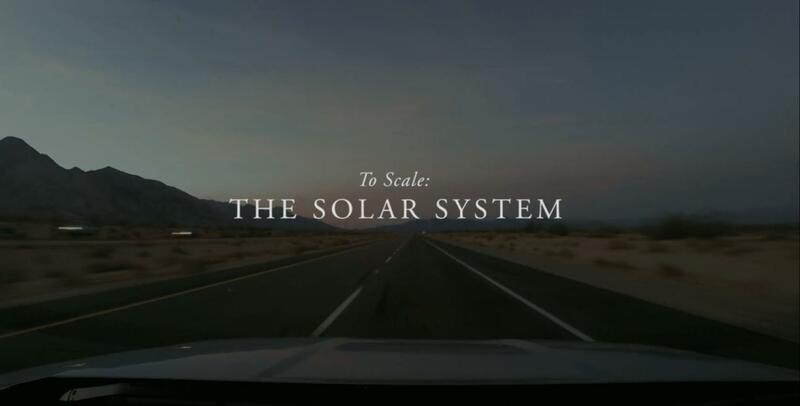 The end result is a fascinating- and more importantly accurate- depiction of our solar system in motion and a really cool 7 minutes. 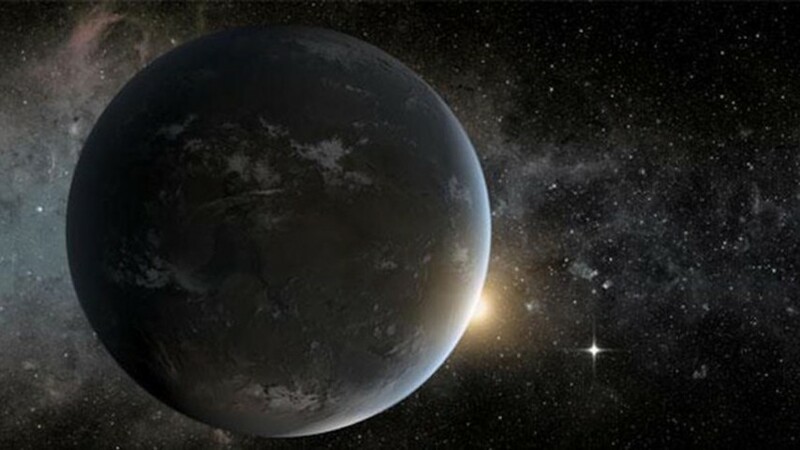 In the pursuit of knowledge about our universe, a widely speculated topic revolves around the existence of another earth-like planet that we might inhabit one day in the event our world is no longer hospitable. Using gorgeous time lapse footage of various observatories with stunning night skies along with interviews with leading physicists, directors Brett Marty and Josh Izenberg explore the recently discovered possibility of an earth-like planet in the not-so-distant Alpha Centauri system. Though much more research is needed to determine whether or not other nearby stars may also have similar planets, recent evidence suggests that such planets are likely much more abundant than once thought. THE SEARCH FOR EARTH PROXIMA is an intriguing and promising look at the ever-growing discoveries about our galaxy.